Andrew Yang is an American Entrepreneur best known as the founder of Venture for America. He is also the U.S 2020 Democratic presidential candidate. He worked in startups and early-stage growth companies as a founder or executive from 2000 to 2009. After he founded VFA, the Obama administration selected him in 2012 as a "Champion of Change" and in 2015 as a "Presidential Ambassador for Global Entrepreneurship". What is Andrew Yang famous for? An American entrepreneur, philanthropist, the founder of Venture for America (VFA), and a U.S. 2020 Democratic presidential candidate. 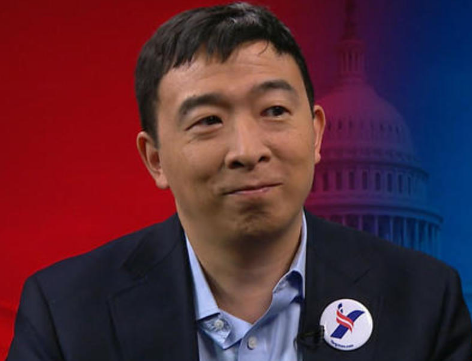 Democratic presidential hopeful and Schenectady, New York native Andrew Yang is making universal basic income the focal point of his campaign. The 44-year-old businessman told ABC's This Week on Sunday that his plan to provide every American adult with $12,000 a year would be funded by a value-added tax. Yang used the example of Alaska, noting that everyone in the state gets anywhere from $1,000 to $2,000 a year from the state's oil revenues. Yang said the U.S. needs to join every other advanced economy with a value-added tax on big technology companies such as Amazon and others. A virtual unknown in politics, Yang said his poll numbers are rising as more people hear about his "trickle up" message on the economy. Yang has experience as a tech sector executive, entrepreneurial start-up investor, corporate attorney and more but has not yet held any elected office. What state is Andrew Yang from? Back to his early life, Yang was born in Schenectady, New York to immigrant parents from Taiwan. His father worked in the research labs of IBM and General Electric while his mother has a master’s degree in statistics and later became an artist. Andrew went to Phillips Exeter Academy and graduated in 1992. He then attended Brown University where he received Bachelor of Arts in Economics. He also went to Columbia Law School where he received a Juris Doctor. What political party is Andrew Yang? After completing his study, he began working as a corporate attorney at Davis Polk & Wardwell in New York. He then joined a healthcare software startup, MMF Systems Inc. as its Vice President. After working in the healthcare industry for many years, he left MMF systems and later created a nonprofit fellowship program called Venture for America. Venture for America (VFA) was founded in 2011 to create economic opportunity in American cities by mobilizing the next generation of entrepreneurs and providing them the necessary skills they need to create jobs. VFA was launched with $200,000 and trained 40 graduates in 2012, 69 in 2013 and 106 in 2014. After 2011, VFA grew to reach a $6 million annual operating budget in 2017 and started operating in major cities like Atlanta, Baltimore, Charlotte, Columbus, Miami, San Antonio, and many others. In March 2017, Yang stepped down as a position of CEO from VFA. On November 6, 2017, Yang made his statement to run for the President of the United States in 2020. He came up with an idea of providing $1000/month to all US Citizen over the age of 18. His campaign’s slogan is “Humanity First” which gives attention to his belief that automation is killing the many key industries and is one of the biggest threats in the workforce. On March 11, 2019, Yang announced that by receiving donations from 65,000 donors in at least 20 U.S. states, he had met the requirements for being included in the first round of debates for candidates in the Democratic presidential primary election. Who is Andrew Yang married to? Reflecting his personal life, Yang was a married man. He was married to Evelyn. Together they blessed two sons. We have not information about how to they met and when they exchange their vows. If you have, please share with us by using comment. As of now, they live a blissful life with their children in New York City. 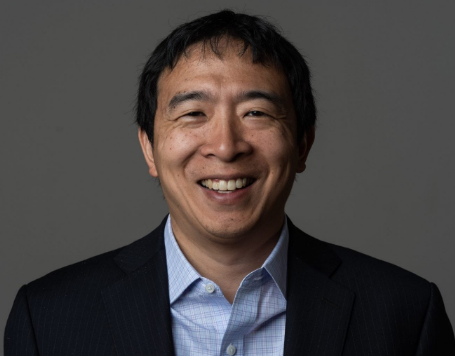 What is Andrew Yang net worth? While his financial details are not available publicly, various websites report his net worth to be in the range of $1.5 million to $2 million. He probably earns a decent amount of money from his profession which shows his present lifestyle. If you have more information about his income details, please share with us by using comment. How tall is Andrew Yang? Observing his body Statistics, he stands to be 5 feet 7 inches or 170 cm tall. He weighs around 70 kg or 154 pounds. His other body information was not disclosed yet. In the case of disclosed, we will let you know. Andrew Yang is one of the presidential candidates of 2020.